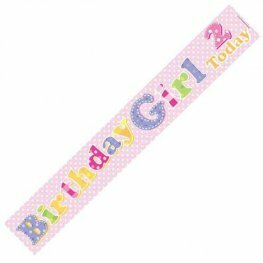 A Huge Range Of Age 1-12 Happy Birthday Banners In Assorted Designs And Sizes. 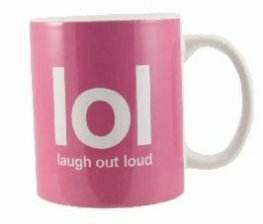 Decorate And Celebrate That Special Birthday Occasions From Ages 1-12 For Boys And Girls You Will Find What You Need At Fantastic Wholesale Prices. Our Selection Of Sticky Dots And Blu Tack Is Perfect For Putting Up Banners And Bunting. 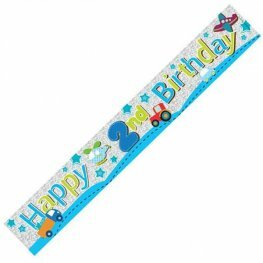 These HAPPY 1ST BIRTHDAY RABBITS BANNERS can be folded in half to display more designs at a time 2.6m long. Happy 1st Birthday Pink Holographic Banner. This Holographic Banner Is 9ft 2.7m Long. 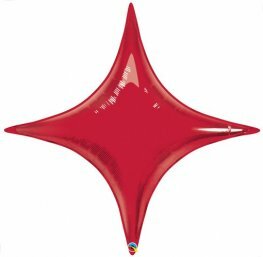 The Happy 1st Birthday Is Repeated 3 Times. 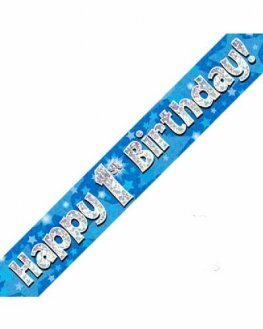 Happy 1st Birthday Blue Holographic Banner. This Holographic Banner Is 9ft 2.7m Long. The Happy 1st Birthday Is Repeated 3 Times. 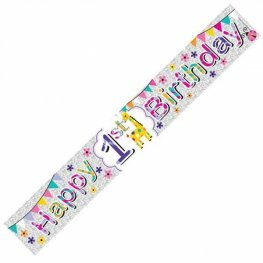 Happy 2nd Birthday Pink Holographic Banner. This Holographic Banner Is 9ft 2.7m Long. The Happy 2nd Birthday Is Repeated 3 Times. Happy 2nd Birthday Blue Holographic Banner. This Holographic Banner Is 9ft 2.7m Long. The Happy 2nd Birthday Is Repeated 3 Times. 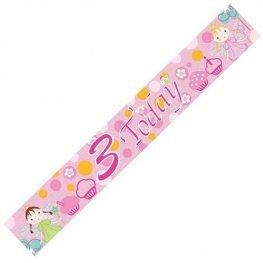 These 3 TODAY PINK GIRLS BANNERS can be folded in half to display more designs at a time 2.6m long. Happy 3rd Birthday Pink Holographic Banner. This Holographic Banner Is 9ft 2.7m Long. 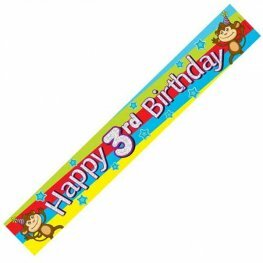 The Happy 3rd Birthday Is Repeated 3 Times. Happy 3rd Birthday Blue Holographic Banner. This Holographic Banner Is 9ft 2.7m Long. The Happy 3rd Birthday Is Repeated 3 Times.